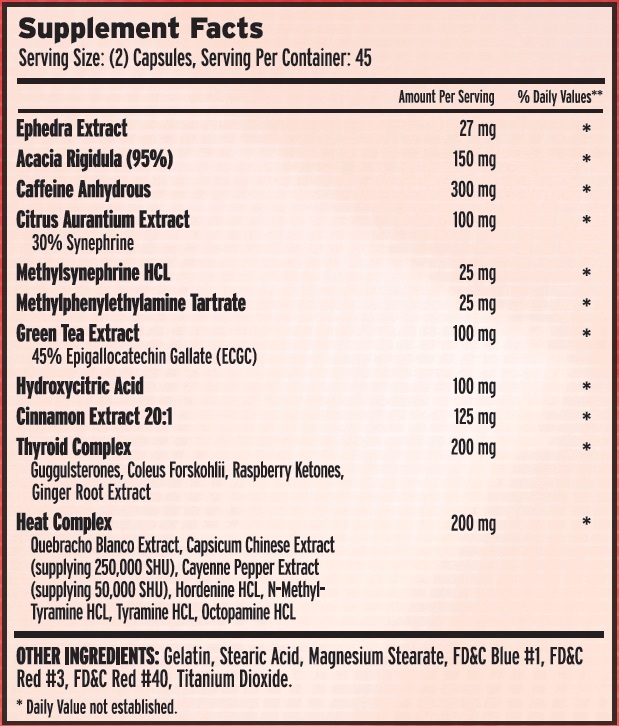 Schwartz Labs now introduces Ultimate Burn diet pills with 27mg ephedra. The makers of the beloved Green Stinger, Schwartz Labs, has formulated Ultimate Burn ephedra with an incredible and unique proprietary blend that sets it apart from other diet pills on the market. 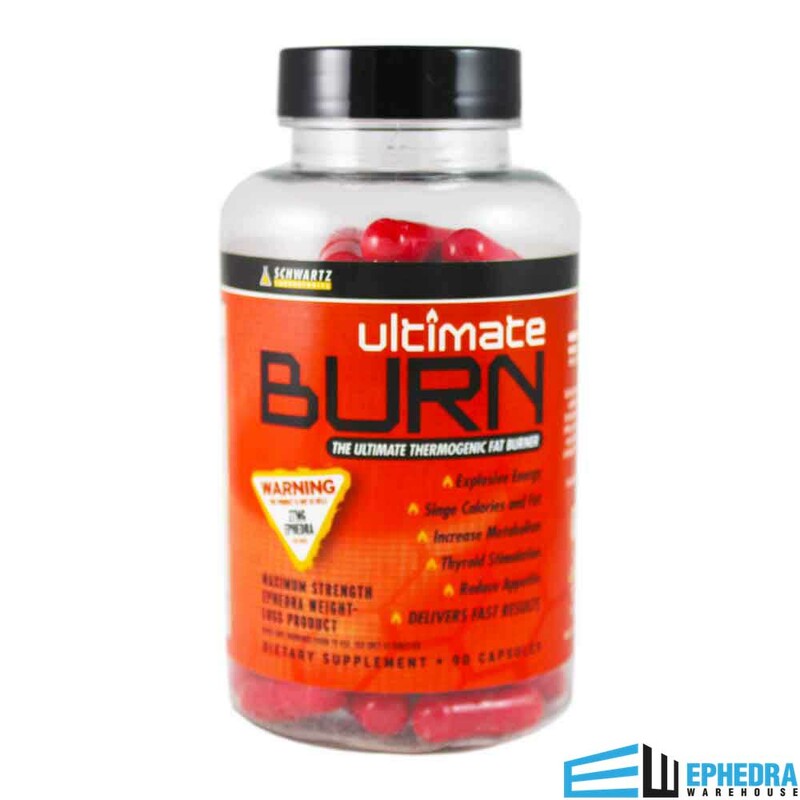 Anyone who has ever tried ephedra and loved it must try Ultimate Burn. This incredible diet pill may promote weight loss every second it is in your system. Not only that, Ultimate Burn ephedra diet pills contains natural ingredients that may enhance your mood and overall mental clarity. Ultimate Burn with ephedra can be your dream weight loss pill. Don't wait. Make your dreams a reality today with Ultimate Burn ephedra! Ultimate Burn reviews just show the huge following this ephedra diet pill is building. 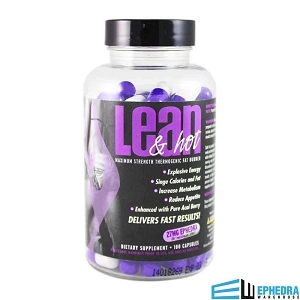 Ultimate Burn reviews let us at Ephedra Warehouse know what this ephedra diet pill is doing for our customers. Please write an Ultimate Burn review! If you combine Ultimate Burn ephedra with diet and exercise, you can see amazing results in your physique and energy levels. Ultimate Burn. Don't wait, buy Ultimate Burn with ephedra today. Directions: As a dietary supplement, take (2) capsule 1-3 times a day. 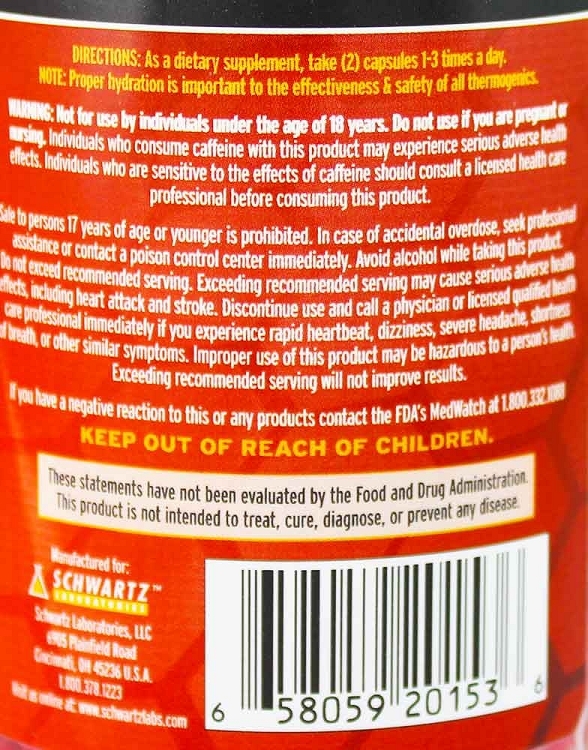 Ultimate Burn with 27mg of Ephedra contains the compound capsaicin which makes peppers spicy. The capsaicin compound is an all-natural ingredient found in pepper extracts that can help you keep weight off by increasing the rate at which your body burns fat after you've already lost weight. (1). 1. Lejeune M, Kovacs E, Westerterp-Platenga M. Effect of capsaicin on substrate oxidation and weight maintenance after modest body-weight loss in human subjects. Brit J of Nutr. 2003 Sep:90(3):651-59. Product works very well.. I lost 31lbs in 3 month! Cut your appetite down. Speeds up metabolism and give you energy ! I miss the old ephedra. Now that it's no longer legal to include all the alkaloids of the original products, I think "ULTIMATE BURN" is about as close as you'll get. It BURNS through energy! Love it! So heres my secret that really works I call it my Ephedra Cocktail. I take Ultimate Burn Ephedra, and Green Stinger Ephedra together alternating between every dose. They are both very effective alone but use them together too achieve results faster. Very good product; you actually know it's doing what it's supposed to as opposed to other diet pills that don't produce any type of physical notice. Appetite Suppression, Whoa! after buying three different types, this is the one for me. It will be a slow weight lost, but I hear that is the way to go. I am eating less, not hungry. As for everything else, not so much. I will say I am sleeping better. This will be the third bottle of Ultimate Burn I have purchased. The first two times was from another company and I paid more for them, so I saved $10 by ordering from Ephedra Warehouse. These work just as advertised and keep my fat furnace pumping. Good energy. Appetite suppressant pretty good as well. Will buy again! I love this product, I have been using it with the cayenne pepper diet. I suggest trying the cayenne diet with Ulitmate Burn if you need to drop some weight really fast. I really help trim my abs for my trip to the beach. I started on this May 25th & as of July 9th, I've lost close to 20 lbs., I didn't think it would work so well, so quickly. I take both supplements generally within an hr. of each in the early morning and have energy throughout the day! You can actually feel the burn after taking both in the mornings & will have to make yourself eat during the day. I'm thrilled with the results thus far!